Over the next few weeks leading up to the release of Lead Your Family Like Jesus, Phil Hodges, one of my co-authors, and I are going to be answering questions that my amazing launch team queried us with. I hope you can learn from some of our answers. Parenting is a constant learning process, and I hope you’ll be encouraged in what you read. 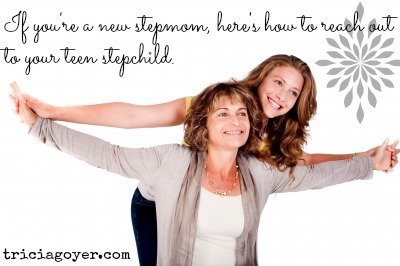 What parenting tips would you give to a new stepmom about a soon-to-be teen? Phil: Consistency from the adults in the child’s life is a great gift. You can serve the best interests of the child by actively supporting your husband and the birth mother, if she is in the life of the child, in maintaining harmony in parental boundaries and standards across both households. Encouraging your husband in actively fulfilling his role as a father and the primary male role model in the life of the child will go a long way to fortifying the child’s sense of security and self-worth. Helping your husband in giving the gift of his time and attention to the child, you will be of great service to your new family. Tricia: I’ve never been in the stepmom role, but I’ve had a stepmom, and Carol was a gift to me. She reached out, even when I turned my back. She focused on the positive, and she loved unconditionally. Even though I didn’t like the idea of having a step mom, I really came to love her until she passed away. yet in the end we have different ways of getting your very own scent. Base notes are musk, sandalwood, and also amber. I look forward to sharing more information on the launch of their newest product. Rather than using skincare products for acne which contain benzoyl peroxide and salicylic acid, instead you can pick natural skin care products for acne which haven’t any unpleasant side effects. out cleanly and without causing infection and acne. the best on the market for learning how to understand woman.